'All men die, . . .not all men really live'. Davie did. He truly lived his life. He was a big man with a big heart, he was kind and giving. In living his life the way he did he touched and inspired many people, bringing a sense of himself into their lives. Through Davie just being, an abundance of friendships and alliances have been formed – one of his many legacies. He loved his country with all his heart and soul, his passion was the very fabric of who he was, therefore, the 'David R. Ross Memorial Fund' has been set up to aid in the conclusion of some the work Davie was involved in prior to his death. Wallace finally had his funeral service ‘with a coffin there to symbolically capture his spirit’. Wallace’ spirit and coffin’ containing many personal messages left by his countrymen’ was brought home. come to rest in St Kentigerns in Lanark where it would be on display under glass as part of the Wallace trail. Sadly, that dream was never realised. It pained Davie greatly every time he looked at or thought about the coffin sitting in storage. He felt he had let Wallace and his countrymen down. Therefore, monies raised through his memorial fund will be used to realise Davie’s dream of finding the coffin an appropriate home. 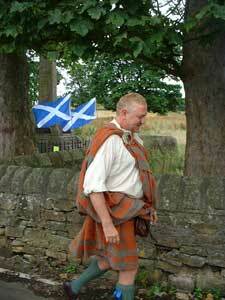 Plans were very much in the making for 2014 at Bannockburn. Davie’s vision was of people coming from all over Scotland and beyond, walking onto the field of Bannockburn to celebrate this great historical day. We will work towards making that dream a reality and creating our own wee bit of history with David R. Ross in the forefront of our minds and in our hearts. 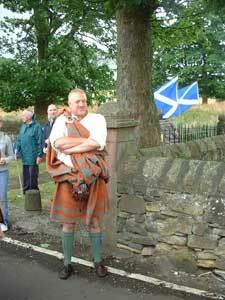 David Robertson Ross is a patriotic Scot who loves his country and its people. He is passionate about the rich tapestry of Scottish history. 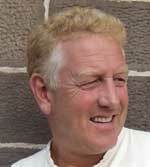 David is a writer and historian who has specialised in the great Scottish hero Sir William Wallace. Although Wallace and the Wallace Society take up a great deal of David's time, he still manages to write about Scotland and her historical past with a poignancy and touch of humour. David is known as the ‘Biker Writer' because of his other love; motorcycles. He tours the length and breadth of the country on his trusty motorcycle, seeking out obscure facts and places of interest. He then collates them in his own unique way to become the books that people read and love. 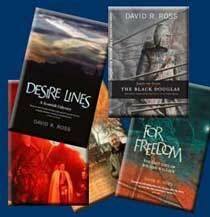 In his books, David is very descriptive with his narration and you almost feel you are with him on his journey. In the year 2005, David set off on an amazing adventure that would see him walk from Robroyston in Glasgow to the English capital city of London . Why would anyone want to do that you may ask? The reason behind the great trek was Sir William Wallace. In 1305, Wallace had been betrayed and captured at Robroyston, then marched to London to face a mock trial and barbaric execution. David Ross thought that on the 700 th anniversary of this event, Scotland should honour her hero and bring his spirit home to the land of his birth. The preparation for such an event took many months and indeed years of planning. David Ross is one of the few people in Scotland who could have achieved this tremendous ovation for a man loved by Scots. Mel Gibson had played his part when the production of the film “Braveheart” hit the cinema screens in 1996. It raised the profile of Wallace and the Scottish psyche was pricked to a great extent. There had been nothing like this in Scotland since 1978 when we were going to win the world cup in Argentina with ‘Ally's Tartan Army' Scottish nationalism was again to the fore. David, who has always been interested in Wallace realised that he could tap into this re-emergence of ‘Scottishness', and once more make our country proud to be ‘Scottish'. The plans started and with the help of many friends, David Ross made it possible for 1,000 Scots to travel to London and walk the last six miles that Sir William Wallace had walked 700 years before. This was of course very different, because Wallace was never allowed the luxury of a funeral. His body had been cut to pieces and distributed across the country as a warning to others. In place of Wallace's body was a coffin, full of letters and prayers sent by the Scottish people. Children had written their thoughts along with adults. Poems and accolades were all included in this wooden shrine. David Ross wanted Wallace to have the funeral denied him by his foes. 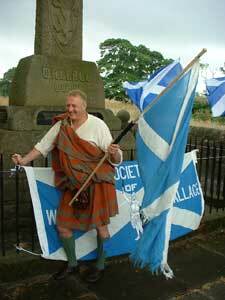 Sir William Wallace now had that, and the fundamental right to be taken homewards to Scotland . Ted Christopher the well-known Scottish songwriter and singer had composed a song especially for the occasion called ‘ I'm Coming Home', Wallace's spirit was brought home to Scotland and Lanark was to see a very emotional commemoration to Scotland 's favourite son. The day ended with a torch lit parade through the old streets of the town a sight that was awesome to behold. 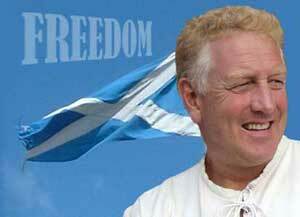 With the lifting of the spirit in Scotland David Ross gave the people of Scotland , something to believe in again. The website is to continue the story of David and his journey to the past and present. David believes that his writing has given him the opportunity to promote Scotland in a positive light. David feels it is important, to show people his country is ready to take its place in the world as an equal partner when the time is right.